Anna Ardova is a Russian film and theater actress with a bright comedic talent. She is best known for her leading role in the sitcom One for All. By the way, she is Honored Artist of Russia (2018). Pretty girl was born on September 27, 1969 in Moscow into the family of actors. It was hard for 16-year-old girl to enter the Russian Academy of Theatre Arts (GITIS), only the fifth try was successful. Now she plays in the Mayakovsky Theater. Anna has played about 50 roles in the TV series and movies. She is best known for her roles in the sketch shows Women’s League and One For All. The show One For All became one of the biggest hits of the Domashni channel and Ardova was awarded a prize for Best Actress. On February 16, 2013 Ardova became a presenter of the game show Fort Boyard. The actress starred in many films and TV series, including Simple Truth, Always Say Always, Children of the Arbat, Mystery of the Blue Valley, Happy Together, Vysotsky Thank You For Living. Angelina Karelina is a charming Russian actress. Pretty girl was born on September 29, 1982 in Leningrad. By the way, she is a very active girl. Angelina plays in films and TV series, sings and composes songs. Besides, she is a champion of Moscow in Thai boxing, the owner of a brown belt in karate. Also Angelina was engaged in ballet and danced in the belly Dance show Lotus Dance Company. Karelina graduated from the St. Petersburg State Theatre Arts Academy. And then she moved to Los Angeles where she studied at the New York Film Academy. While studying in America, Angelina starred in several films of young Hollywood directors: Pilot For Reality Show, Sweet Charity and others. Talented actress first appeared on the screen in the famous TV series Line Of Fate (2003). The role of Anastasia in the film I Have the Honor (2004) was the first major work of Angelina. In 2006 she starred in the adventure comedy Formula Zero. Unbroken faith. Paralyzed girl stood up on her feet to win at Cannes (Vera means faith). This story is like a fairy tale. When 11 years ago Vera was born, it became clear that there was something wrong with the baby. Later it was found out that little girl suffered from cerebral palsy. Both parents love Vera very much. They treated her, tried to help, in general, lived like all families who have a child with a disability. Marisol Galysh, author of the idea, script writer and producer, looked for the heroes of the film for the Child of the Universe competition. This is the film and documentary competition dedicated to children with disabilities. Anastasia Kuzminich advised Marisol to contact the public organization Children – Angels (community of special children’s parents), where little Vera was recommended. Svetlana Ivanova is a Russian theater and film actress. Pretty girl was born on September 26, 1985 in Moscow into the family of engineers. When she was 14 years old she joined the studio theater. In 2006 Ivanova graduated from the State Institute of Cinematography. While studying at the Institute Svetlana debuted in the movie Godson, then she played in the TV series Farewell Echo. Since 2011 the actress has been working in the Contemporary theater. On March 22, 2012 she made her debut in the role of Patricia Holman in the play Three Comrades. Svetlana played the main female role in the film Franz + Polina directed by Mikhail Segal. The film and the actress received numerous awards at various film festivals. Ivanova was awarded Special Jury Prize at the Third International Film Festival Baltic Debuts, the Prize Golden Sword for Best Actress at the IV International Festival of Military movie. Also she received awards for Best Actress at the 15th Open Film Festival of CIS and Baltic countries Kinoshock and at the XIV International Festival of Film Actors Constellation. 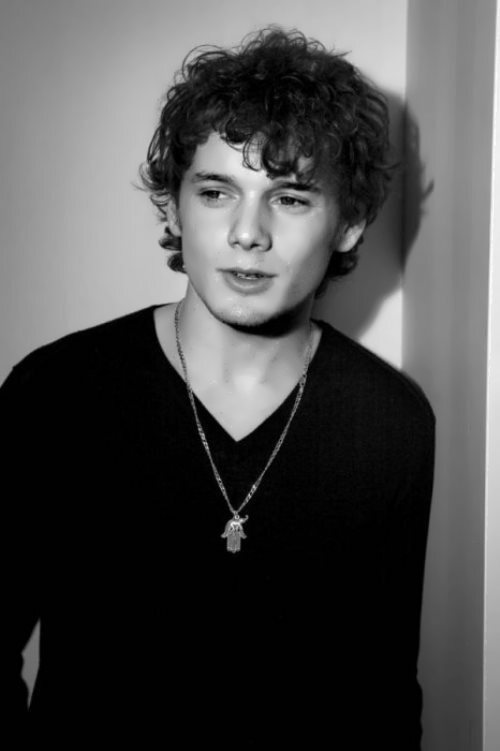 Anton Yelchin is an American actor of Russian origin. You know, Yelchin became the brightest young actor in 2005 according to the Hollywood Life magazine. Also Anton was one of People Magazine’s 100 Most Beautiful People in 2009. The boy was born on March 11, 1989 in Leningrad (now St. Petersburg, Russia) into the family of figure skaters. His grandfather Arkady Yelchin was a football player and a coach. On September 12, 1989, when the boy was six months old, the family emigrated to the United States. His uncle, illustrator Yevgeny Yelchin, lived there for several years. Later his father began to work as a figure skating coach (he was the first coach of Sasha Cohen), and his mother became a choreographer of ice shows. In his early childhood Anton decided to become an actor and at the age of 10 he began acting. The boy made his debut in the role of Robbie Edelstein in the medical drama ER. You know, the boy dreamed of playing Harry Potter. But only native Englishman could play the role. 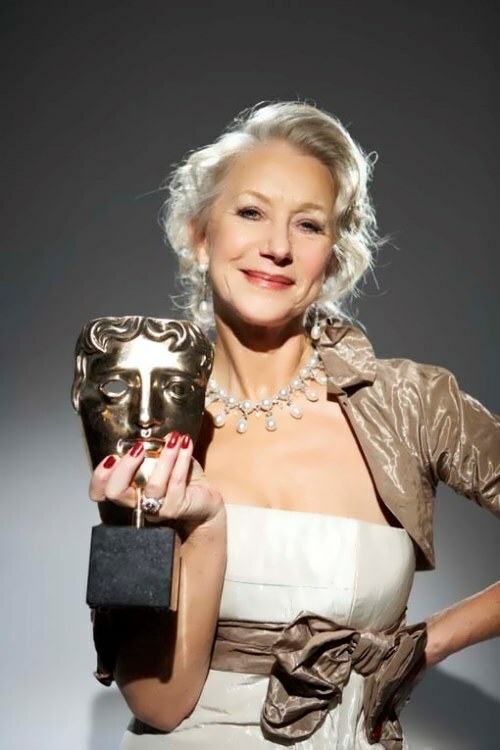 Helen Mirren is a famous British and Hollywood actress. By the way, she is the only actress ever to play the roles of three Queens of England, Queen Elizabeth I, Queen Elizabeth II and Queen Charlotte. You know, she has won an Academy Award, four BAFTAs, three Golden Globes, four Emmy Awards, and two Cannes Film Festival Best Actress Awards. Moreover, Helen was appointed a Dame of the British Empire in 2003. And in January 2013 the actress was awarded a star on the Hollywood Walk of Fame. Besides, her wax figure is at Madame Tussauds London. Elena Mironova (her birth name) was born on July 26, 1945 in a suburb of London. Her father Vasily Mironov was Russian and her mother Kitty was English. In the 1950s the father changed his family name to Mirren. Elena was the second of three children. Parents wanted the girl to become a teacher. But Helen was fond of theater. She studied at the theatre school and at the age of 18 Helen joined the National Youth Theater. At first the young actress played only small roles in the theater. But soon the girl played the role of Cleopatra on the stage of the Old Vic. Awesome girl was noticed by agents and invited to the Royal Shakespeare Theater. There she played main roles in the plays The Avengers Tragedy, Richard III, Much Ado About Nothing, Hamlet and Two Veronets. Semyon Farada was a Soviet and Russian theater and film actor. By the way, he was Honored Artist of the RSFSR (1991) and People’s Artist of the Russian Federation (1999). The actor had starred in more than 130 films. 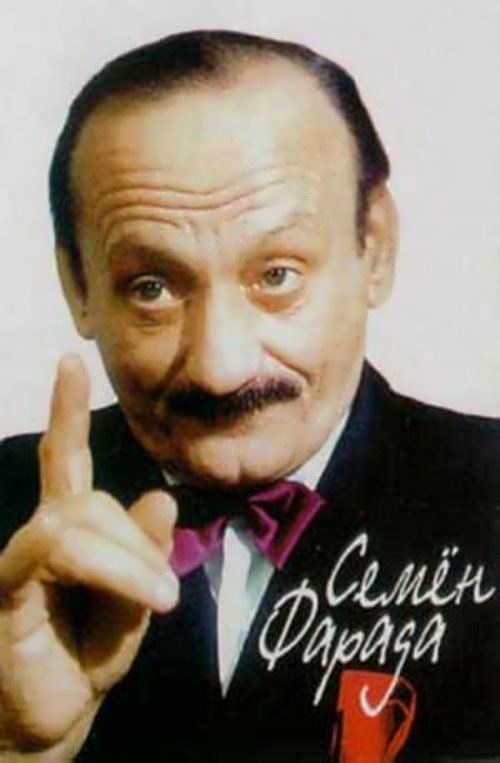 You know, he was called one of the best comedians of the Soviet Union. The boy was born on December 31, 1933 in Nikolskoye village of Moscow Oblast, into the family of an Army officer and a pharmacist. His real surname was Ferdman. At school the boy eagerly attended the theater club and showed an excellent artistry. But, it was believed that the son of a military man must necessarily follow in his father’s footsteps. However, Semyon was not accepted to the Armored Forces Academy. Moreover, he was not even allowed to take the exams. So the boy entered the Bauman Moscow State Technical University. There he participated in all theatrical productions and showed no interest in the technical sciences. The army saved him from exclusion. He served in the Baltic Fleet for four years. In the army he played at the garrison theatre in Baltiysk. You know, Semyon was the only Baltic Fleet sailor allowed to wear long hair, because he played the role of a long-haired anarchist. In 1962 Farada graduated from the Bauman University and worked as a mechanical engineer until 1969.